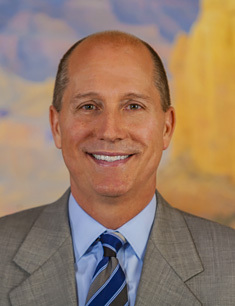 Craig Knapp is a trial lawyer and a founding partner of Knapp & Roberts (Scottsdale, Arizona) where he serves as the firm’s lead trial counsel. 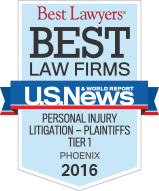 His practice is dedicated solely to representing plaintiffs in cases involving elder abuse injury. 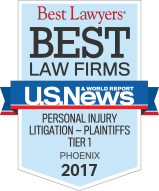 Mr. Knapp is a Phoenix elder abuse lawyer who has represented hundreds of individuals harmed by the negligence of others and is highly committed to personalized and responsive service in achieving your desired results, whether through settlement or trial. Mr. Knapp is a graduate of Arizona State University (B.S. 1986), Saint Louis University (J.D. 1990) and the University of Arizona (M.B.A. 1992). He was born in Detroit in 1964 and grew up in East Lansing, Michigan. Mr. Knapp handles cases throughout the State of Arizona involving wrongful death and catastrophic personal injury including, but not limited to:elder abuse, nursing home neglect, medical malpractice, birth injuries, pharmaceutical drugs, car and truck accidents, sexual assault, product liability, and premises liability matters. Every case accepted by Knapp & Roberts is thoroughly investigated, carefully prepared, and aggressively litigated. 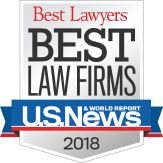 Mr. Knapp has successfully litigated many multi-million dollar cases and several high profile cases which received local and national media attention. In 2004, a Maricopa County jury returned a $45.5 million dollar verdict in one of Mr. Knapp’s cases where a 26-year-old woman with severe developmental delays drowned while under the care of a group home (Solomon v. DSI). In 2009, Mr. Knapp also obtained an $11 million jury verdict on behalf of his client who lost her husband due to neglect at an assisted living facility in Phoenix, AZ (Scherrer v. Liberty Manor). Each year, Mr. Knapp accepts a case on a pro bono basis (no attorneys’ fees charged to the client and Knapp & Roberts pays all the case expenses with no reimbursement) that will hopefully have a lasting impact on the community and our legal system. See Garcia v. Adcock in Verdicts & Settlements ($1.6 million verdict DUI-auto accident death case in Cochise County). 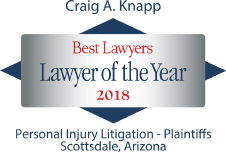 When a wrongful death or a serious, life-changing injury has taken place due to someone’s negligence Phoenix injury lawyer, Craig Knapp, is dedicated to presenting a compelling case through hard work. He is able to tell his client’s story because he takes the time to learn about their life, and family, and how things have changed since the injury or death. Mr. Knapp also utilizes top-notch experts and the latest courtroom technology at trial. 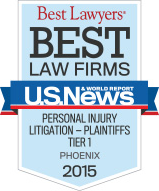 Mr. Knapp has also been named a Southwest Super Lawyer in 2011, 2012, and 2013 for plaintiff’s personal injury cases.